People often ask me, “I tried meditation for few days or few weeks and then stopped. Where am I going wrong? I am not getting the desired results.” What is the problem with meditation? Why do some people find complete enlightenment and some people fail to find even peace? Why people find it so difficult to concentrate during meditation? My usual answer is, “Meditation is a practice to find perfect peace for those who have already found peace.” We tend to have unreasonable expectations from meditation and fail to do the attitudinal shift which is a pre-requisite for meditation. Start saying thank you to people around for all the good deeds they do for you. Expect less from relationships and develop a habit of saying thank you, when required. Give thank you cards to people who have brought immense joy in your life; be it parents, friends, relatives or even colleagues. Do it with sincerity and not with an expectation of quick returns. Initially people may even feel surprised and even doubt your intentions, if you have never expressed gratitude. But slowly they will start feeling your vibes and body language and would be able to notice your sincerity. 3 Express gratitude to the Universe (for the people who brought suffering to your life). Remember, I am saying gratitude to the universe (not to the person) for suffering also teaches us lessons. On a lighter note, I advise you not to express gratitude to the people who caused suffering lest they cause even more suffering to you to get more gratitude. I understand this step is very difficult and some of us will fail to reach this step in our life time. But remember one thing, letting go is hard but holding on can be even harder and more painful. Gratitude releases the negative energy from the mind. When there is no negative energy (grudges, guilt, suppressed anger and so on), it is easier to meditate and find that peace or desired results. In your own interest forgive and bury the past. Two categories of people are successful with meditation results. First category has immense patience and self-discipline and they keep practicing it for few months and become meditation-addicts after getting the benefits. As they say, the proof of pudding is in the eating. Second category of people know they have limited self-discipline and patience and decide to take the help of a spiritual coach (an increasingly popular practice in western countries). Most of the people waste and diverge their energy by attachment with results and its funny but true that results come when we get detatched with them. The trouble is worth it. For when you are able to successfully meditate, you can connect with the best in you and discover your deepest passion and your innermost desires. 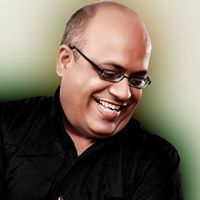 Dr Amit Nagpal is Chief Inspirational Storyteller at AL Services. He is a Social Media Influencer, Author, Speaker/Trainer and Coach. He tweets at @DrAmitInspires. His special interest and expertise lies in inspirational storytelling, anecdotes and visual storytelling. AL Services offers content development/story writing, consulting, training and other services in the area of brand storytelling. To know more, write to [email protected].